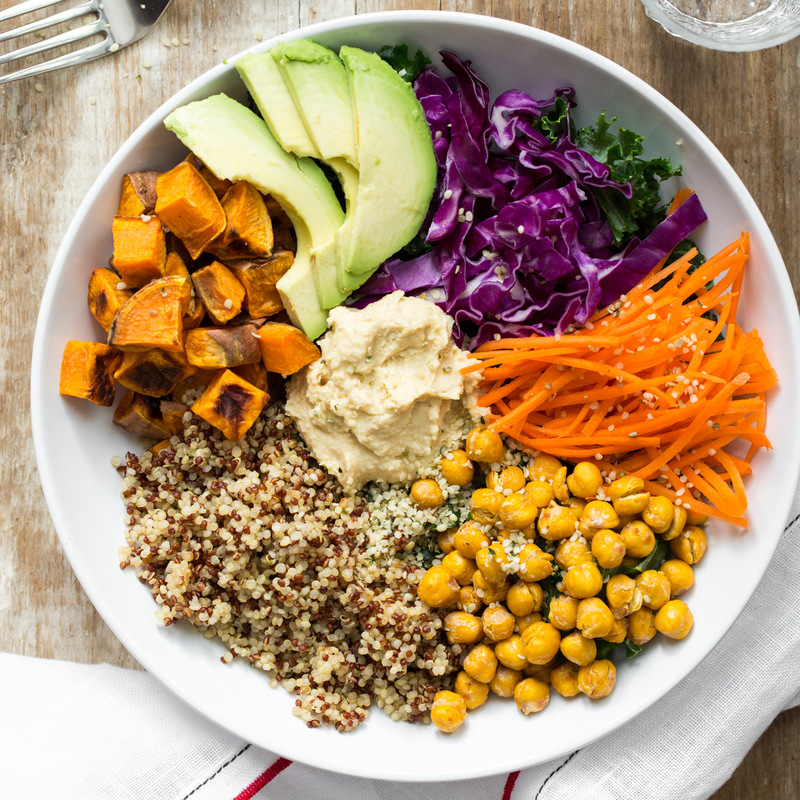 A fun, durable, generous sized bowl for all your lunchtime possibilities. Ideal lunchbox for healthy meals at school or work! Secure sealing without breakable clips. Generous size (40 oz) and removable portion divider tray-plate will fit your lunch and snacks. Includes fork and spoon. 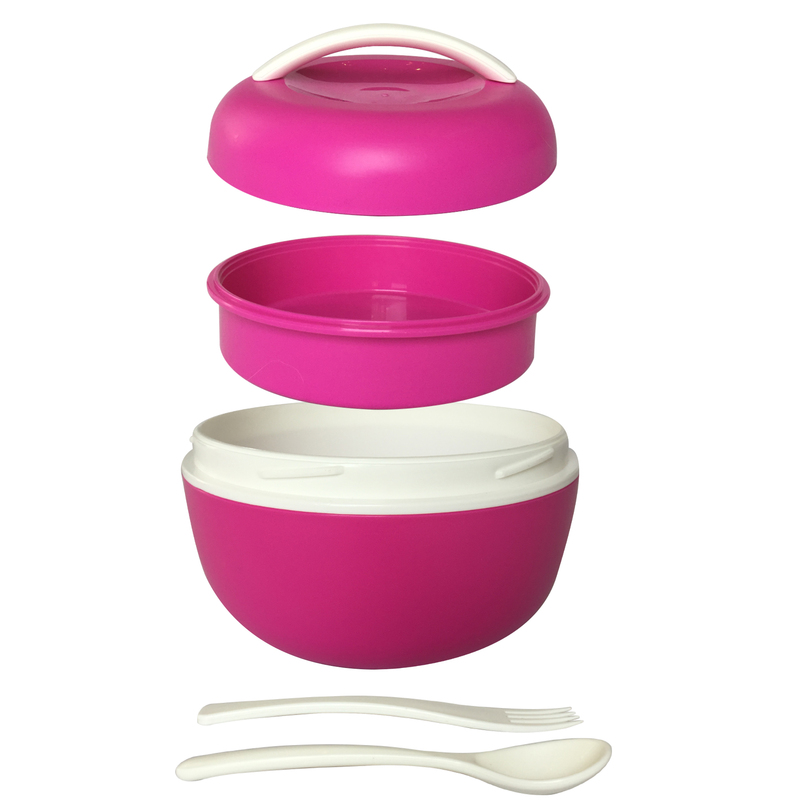 Eco plastic lunchboxes are microwave, dishwasher and freeze safe. BPA free. 100% Satisfaction Guaranteed! Eating in a bowl is one of the oldest ways to eat. In this always-on, hyper-busy modern age many of us crave comfort and nourishment on a deeper level. Researchers have found eating in a bowl creates more satisfaction and some say food just tastes better in a bowl. If you think about it, eating from a bowl invites us to pick up our food and bring it closer. We can see the colors and shapes of our meal and enjoy the aroma more intimately. This attention brings deeper appreciation of the meal’s tasty flavors. 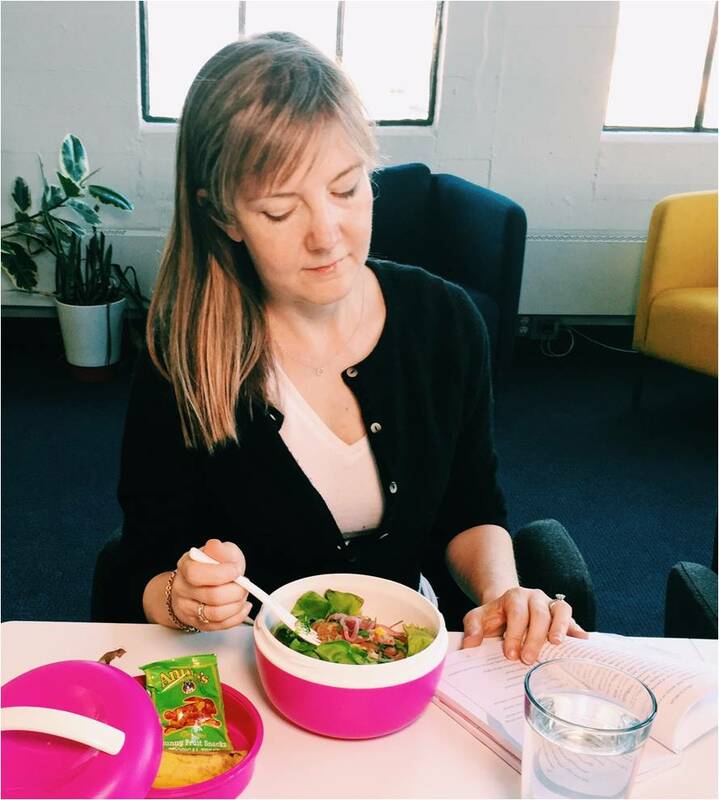 Eating from a bowl can be an immersive sensory experience and the perfect counter-point to hours in front of our screens and devices! Care: Dishwasher, freezer and microwave safe. Includes: Removable tray. Bonus fork and spoon. SALE! Purchase on Amazon. Price may vary. We eat with our mind and senses. Paying attention to how our food satisfies us can inform future choices to be more satiating and healthful. 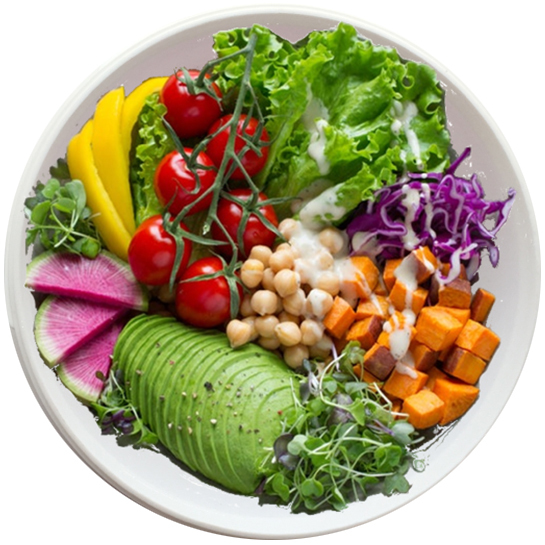 Choose ingredients for your bowls that will satisfy all your senses – crunchy and creamy textures, varied colors and shapes, different flavors and fragrances. Notice what you want to eat first. What is driving that urge? You may discover underlying preferences for salty or sweet, crunchy or smooth, or specific food combinations. Notice how you feel when eating from a bowl vs a plate. According to researchers, eating from a bowl with a rounded bottom can make you feel full when eating less. 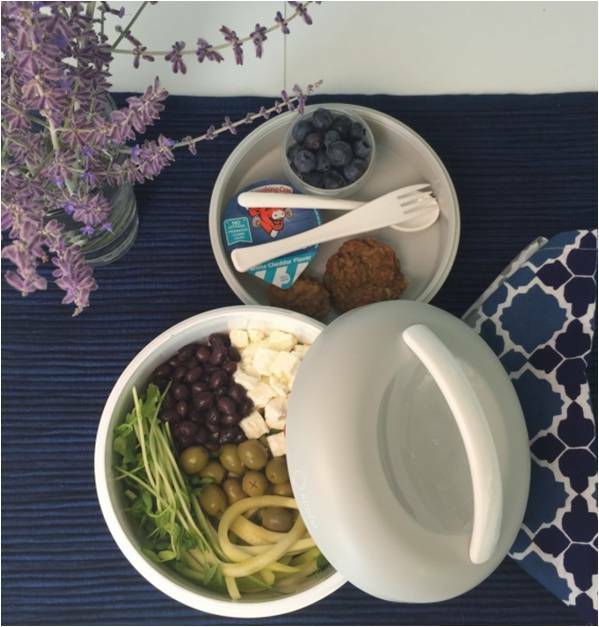 “I really love this bento bowl. 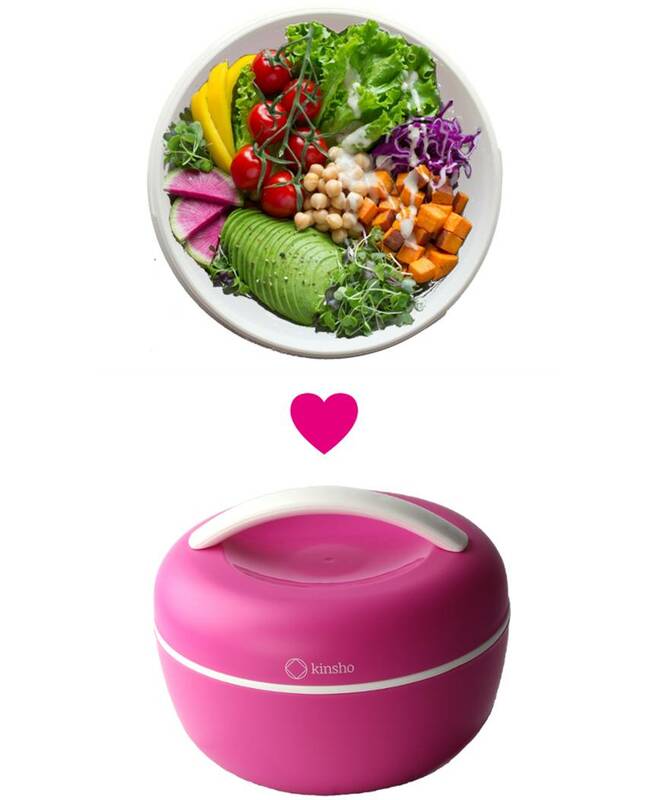 It fits everything I need for a healthy lunch and is fun to pull out at lunchtime!“ Debbie T.
“Great bowl! It makes it so much easier to take food to work. No more boring sandwiches and chips for me. “ Lisa N.
” I love this lunch bowl! It is not only functional and durable, but also very cute! Thank you for making a quality product.. “ Brittany L.
Check out this lovely video from the hugely popular “Entertaining with Beth” channel. She demonstrates two easy recipes custom made for our Kinsho Bento Bowl. how much will fit in a bento bowl? 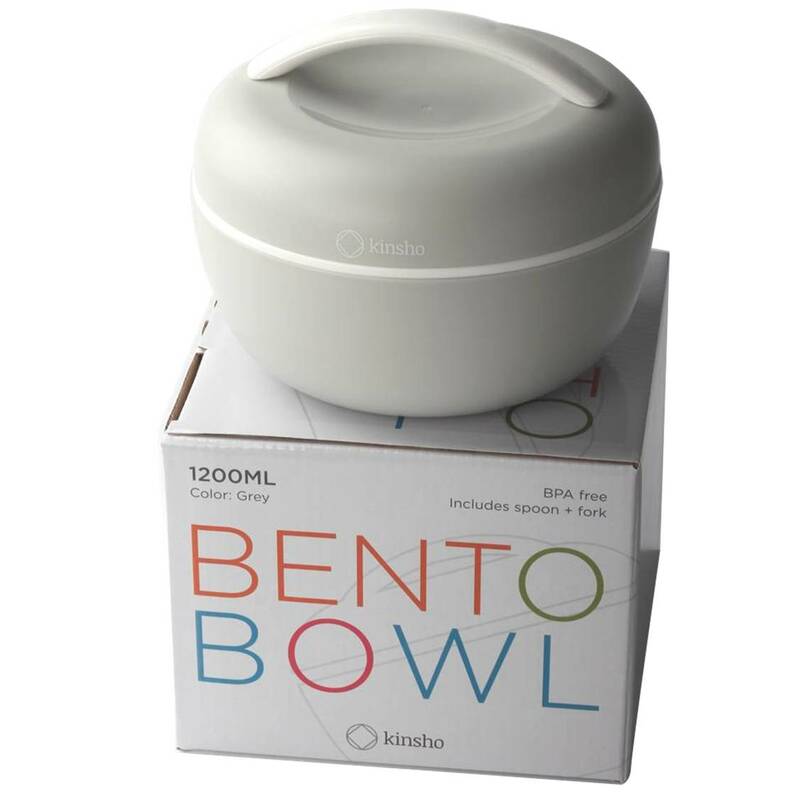 Bento Bowls hold 40 ounces which is 5 cups or 1200ml. This allows a generous amount of salad/leftovers/noodles/sandwich in the main compartment with a removable tray for additional items. is this for kids or adults? 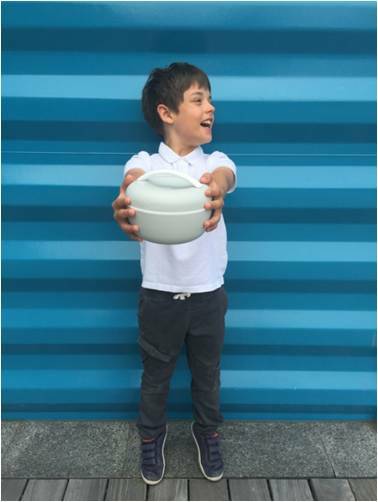 Both adults and kids of many ages love the Bento Bowl! The flexible space and fun shape make it perfect for various combinations of salads/leftovers/sandwiches/fruit/snacks/dessert. The seal on the bowl is very secure but large amounts of liquid will NOT be leakproof if turned upside down or on its side. These boxes are made in our partner factory in Shantou City, Guangdong Province, China. They were wonderful partners during the development and production process. They have 20 years of experience in lunch/storage products that are also exported to France, England, Italy and throughout Asia. can i buy in large quantities for my business, health care center or school? Yes. You can simply order on Amazon or feel free to reach out to us directly through our contact page. We are very pleased that retirement centers in Hawaii use our bento products to provide happy, healthy lunches to their residents! We offer a 100% Satisfaction Guarantee. We have a no-questions-asked refund policy as part of Amazon’s return policy. If you are not satisfied with our product simply go through the standard Amazon return process. Our goal has always been to create happy, satisfied customers. If you have any concerns please don’t hesitate to contact us directly via our contact page and we will make it right!